I am up early this morning to take the tender at 9:15AM for my Segway tour. 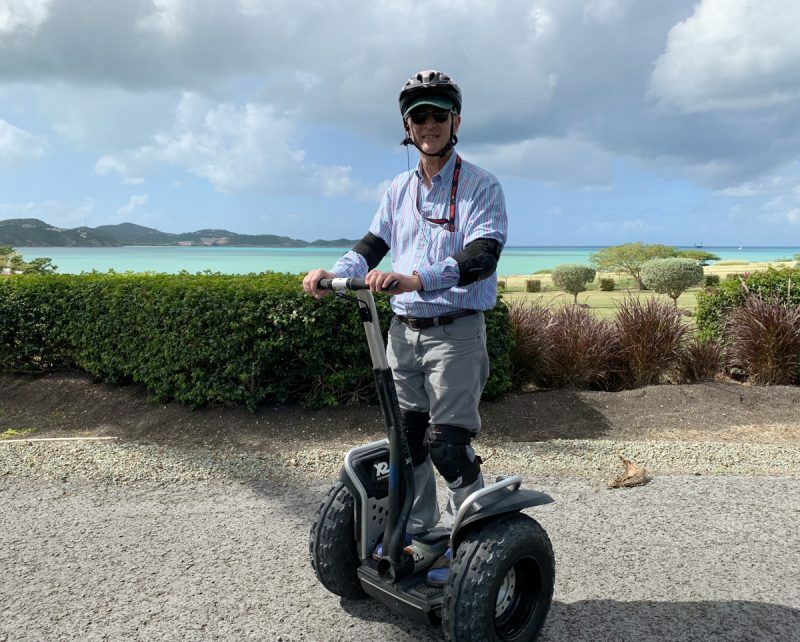 We are met at the dock by a driver who takes us across the island to the largest city of St. Johns, where we hook up with the Segway tour company. They spend quite a bit of time instructing our small group on how to operate the machines safely, since we are all newbies. Then we are off, following our tour guide as she talks to us with radio earphones, keeping us on track, safe, and describing the sights. Our first stop is at the Minister of Tourism’s estate on top of a ridge, where we can take photos while overlooking the beautiful harbours, coastline, and an abandoned sugar mill. 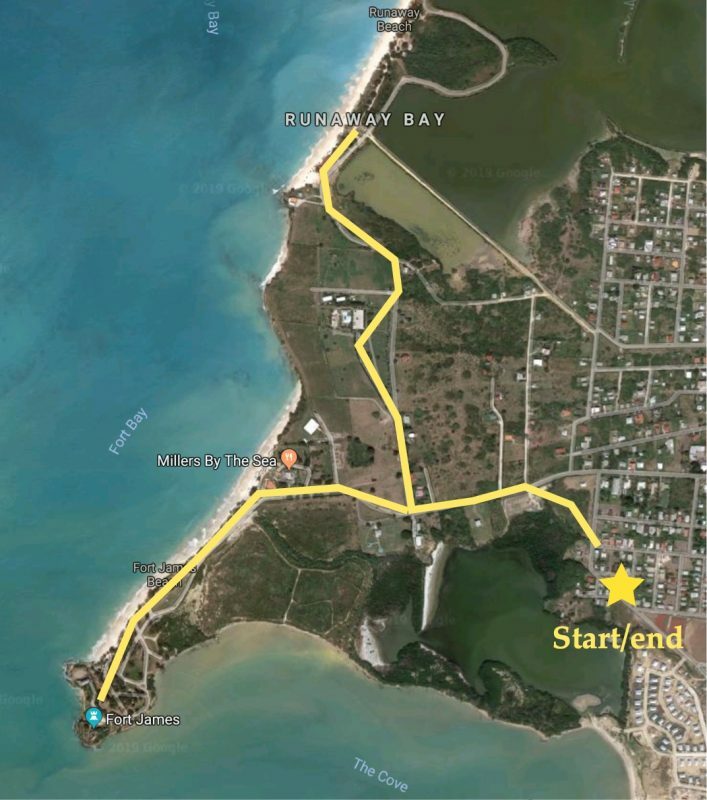 We next stop at beautiful Runaway Beach (see banner image above) for a refreshment break. Before the new airport was built, small passenger aircraft would land on the hard sand on this beach. 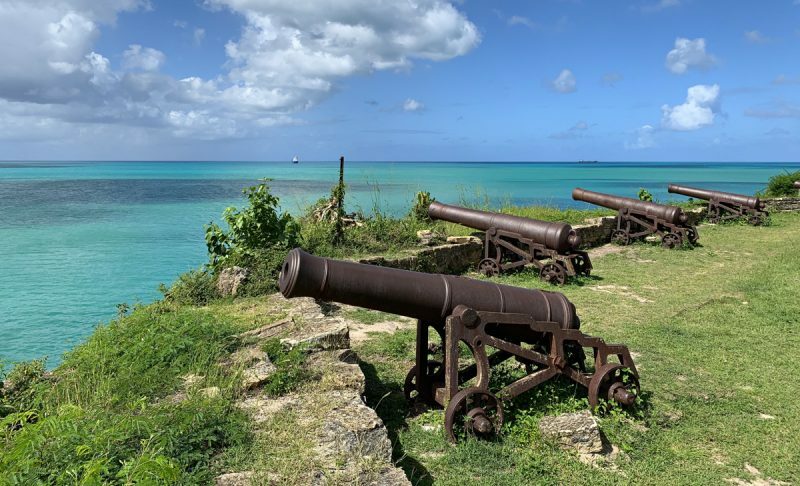 Fort James is our next stop – an abandoned fort with lots of cannons still on the rock walls overlooking the harbour. We scoot along Fort James Beach, and then back to the starting point. Our driver takes us back across the island to Falmouth Harbour, where our ship’s staff are staging a barbeque lunch on the local beach. I stop to have some lunch, but take the next tender back to the ship and then relax with a beer while on deck overlooking the beautiful harbour. A steel band comes aboard in the early evening to play Caribbean beats before the ship sails out of the harbour. This entry was posted in Antigua, Caribbean and tagged barbeque, beach, cruise, music, sailing ship, segway, ship. Bookmark the permalink.